With just two weeks before his first Big Game Hunt - The "World's Greatest Tracker" fights butterflies and pesky shooting problems. A peek into the gear and prep for a 9-Year Old's first Bowhunt! In 2005 my 9-year-old son Patrick Jr. practiced for months for his very first big game bowhunt. 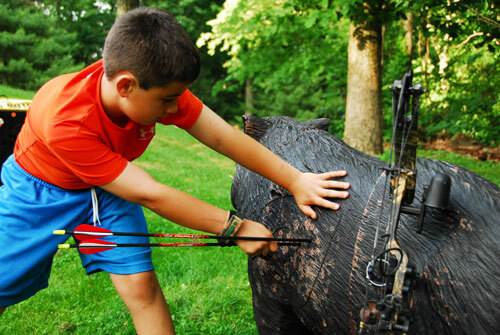 We hunted wild boar at Shiloh Ranch and with his 7-year-old brother Matt, his mom and dad at his side he took his first animal with his first shot ever – a perfect one at that. Watch the video here. Fast-forward two years. Now it’s 9-year-old Matt’s turn. For those of you who’ve seen our video, Beyond Adrenaline, you will recognize Matt as The World’s Greatest Tracker. We had such a great response to Pat Jr.’s hunt that we thought we’d give you a glimpse into Matt’s preparation, challenges and equipment before his hunt in two weeks (which we’ll bring you Live)! 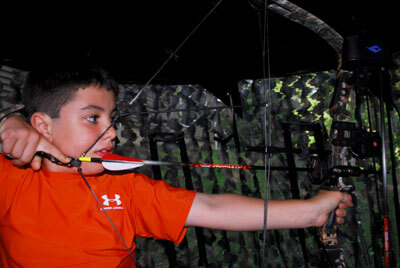 We also thought this feature may help those of you trying to get your kids bowhunting - something we all need to do. The first thing we needed was to get Matt set up with the right bow, arrows, rest, sight and release. For the Bow we chose a Diamond Edge. This is a terrific bow for young people due to it’s ability to make incremental changes in draw length with a simple allen-wrench adjustment. This allowed us to order the bow in an appropriate weight range (in Matt’s case, 35-40lbs) and then fine-tune his draw length. 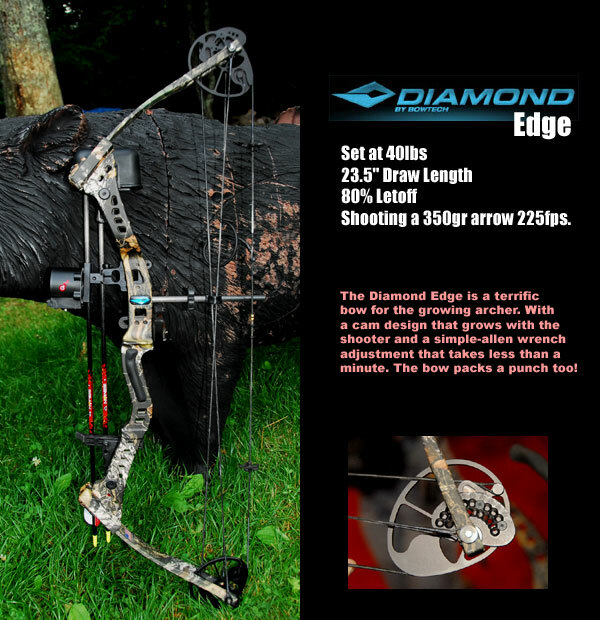 Matt is now shooting 40lbs comfortably and this bow will suit him well for the next few years. For Matt’s sight we chose the Summit Hot-Dot for a specific reason. 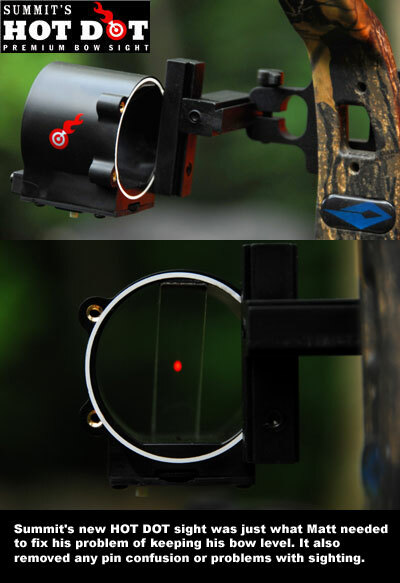 This new sight by Summit projects a red dot on a clear plastic angled strip. Besides the fact that the dot is suspended without a horizontal or vertical pin, the reason I immediately thought of this sight for Matt is that one of Matt’s shooting problems was keeping the bow level. He was having a very difficult time with his sight’s level. It would confuse him and he started to develop poor shooting habits. The Hot-Dot solved that issue because if you torque or tilt the bow more than 6 degrees the dot disappears. This was a Godsend for Matt. It solved his tilting problem without having to keep track of his pin while leveling the bow. Matt also thinks the sight is cool and that’s important to a 9-year old. For Matt’s rest we went with a Whisker Biscuit. I only recommend these rests now for kids as their draw cycle is typically not as clean or smooth as it should be. 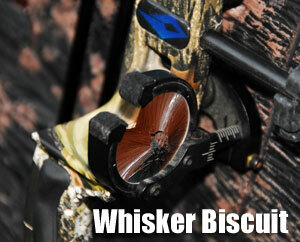 With a little tuning, you can get the Whisker Biscuit to launch a nice, flat arrow. We had a little difficulty paper-tuning his arrows but by adding some length on the point-side we got perfect paper holes after minimal effort. For arrows we went with the ICS Junior arrows by Beman. We also went with a Tru-fire Hurricane Jr release. This is similar to the release I use by True-Ball and is quite simple to operate. For broadheads it’s the Muzzy 4-blade 90-grain head. We’ve had really good luck with this head on his brother’s hog and it flies as great out of lower weight bows and arrows as it does from the rig his dad shoots. One of the things we did two years ago (and it worked great) was to simulate as much of the hunting conditions as possible. Thanks to Matt and Cheryl at Shiloh, they were able to tell us how the hunt was going to be conducted and the typical shot distances from the blinds. We purchased a Delta Wild Boar target and set up one of my turkey blinds to practice from. From that point on it has been a daily ritual of shooting from inside of the blind at the hog target, 10-15 yards away. I will change the angle of the target to work with the kids on shot placement angles as well. That teaches them discipline to identify a good shot from one that should be passed-up. I should note that we only shoot 15-20 minutes every evening with my two sons taking turns. The daily practice is the key, but so is not shooting too much and developing bad habits. Practice is always fun but it’s not a free-4-all. I watch every shot and coach Matt on his release and follow thru every time. Matt, like his brother two years ago, had two shooting challenges. The first was a problem of tilting the bow. We started with a sight and level combo but that confused and frustrated him more than it helped. He spent so much time trying to level the bubble that he’d lose it when he was ready to shoot. We solved that problem by switching to a Summit Hot-Dot sight. The dot disappears when you tilt the bow greater than 6 degrees. This was brainless and solved his problem overnight. The next issue has been tougher to fix. Matt and I have been working on his release. He keeps his finger behind the release trigger but when he's ready to shoot he will occassionally whip his finger and punch the trigger. He’s doing much better but it’s still not fixed. At some point I will stop coaching him as he shoots a good arrow even with that poor technique. But it’s a bad habit that he’ll need to eventually break. With his gear nailed down, his shooting consistently accurate, and with a sound knowledge of hog anatomy and proper shot angles, the next two weeks are all about keeping him relaxed and confident. The boy is a predator, like his mom, dad, brother and little sister Abby and we have no doubt that he’ll do great. Watch for the Semi-Live Hunt on July 16 th-19 th. We’d like to hear your kids’ stories and see photos too! 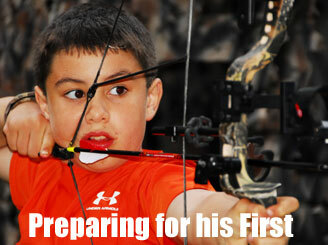 What kind of equipment worked for them and how did you get your child ready for his/her first big game Hunt?